Happy book birthday to The Silver Mask by Holly Back and Cassandra Clare! 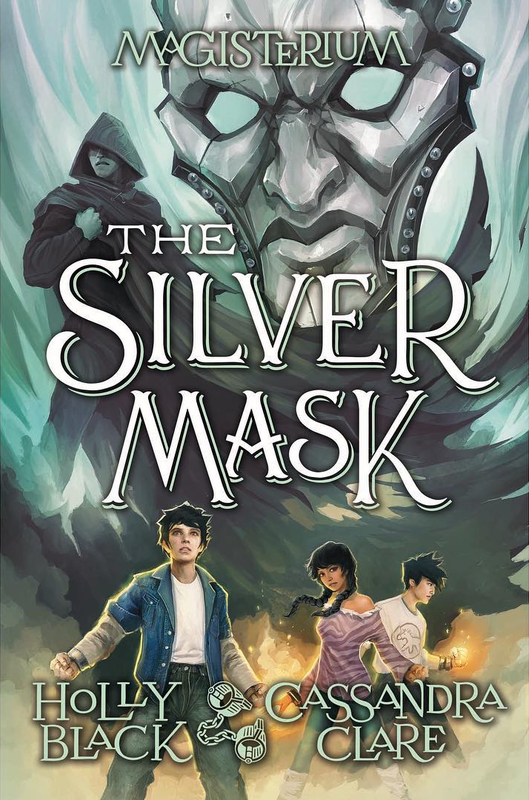 The Silver Mask is the fourth book in their Magisterium series, a middle grade series about mage Callum Hunt, his friends and their adventures. We can imagine that Call is going to have a very tough time in this book since he is in jail and also has to deal with the loss of a dear friend. A generation ago, Constantine Madden came close to achieving what no magician had ever achieved: the ability to bring back the dead. He didn’t succeed . . . but he did find a way to keep himself alive, inside a young child named Callum Hunt. Now Call is one of the most feared and reviled students in the history of the Magisterium, thought to be responsible for a devastating death and an ever-present threat of war. As a result, Call has been imprisoned and interrogated. Everyone wants to know what Constantine was up to-and how he lives on. But Call has no idea. It is only when he’s broken out of prison that the full potential of Constantine’s plan is suddenly in his hands . . . and he must decide what to do with his power. In this spellbinding fourth book of Magisterium, bestselling authors Holly Black and Cassandra Clare take us beyond the realm of the living and into the dangers of the dead. If you can’t remember what happened in The Bronze Key but want to jump straight into The Silver Mask, we suggest this recap by Book Series Recaps. If you’re still waiting for your book to arrive, you can also start reading it here. Happy reading to all you mages out there!